The fungus Taphrina caerulescens causes oak leaf blister. Taphrina caerulescens infects many oak (Quercus) species, but members of the red oak subgroup are typically most susceptible to the disease. 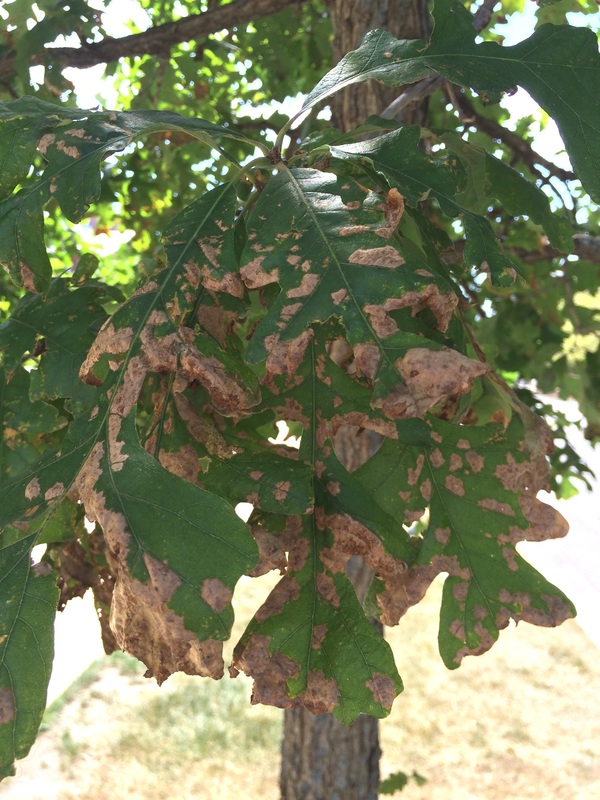 Oak leaf blister is common on oaks around the globe but in the United States the disease is most common and destructive in the south. Taphrina infects newly developing leaves as the buds open in the spring but symptoms often do not develop until later in the growing season. As the infected leaves are maturing, the fungus grows within the epidermis, beneath the cuticle. The lesions appear convex (raised) on the upper surface of the leaf while on the underside they appear convex (depressed). When many lesions develop on a leaf they can coalesce to cause a total collapse of the foliage. Taphrina sporulates from the blighted sections of the foliage but these spores do not reinfect the host to cause additional disease. Instead, they disperse onto nearby twigs or bud scales where they remain dormant, allowing the fungus to overwinter in the canopy. Thus, when the buds open and new leaves develop the following spring the fungus is in very close proximity to initiate a new infection cycle. When trees are severely diseased on an annual basis, growth is stunted and vigor is reduced, making trees susceptible to opportunistic pests and pathogens. 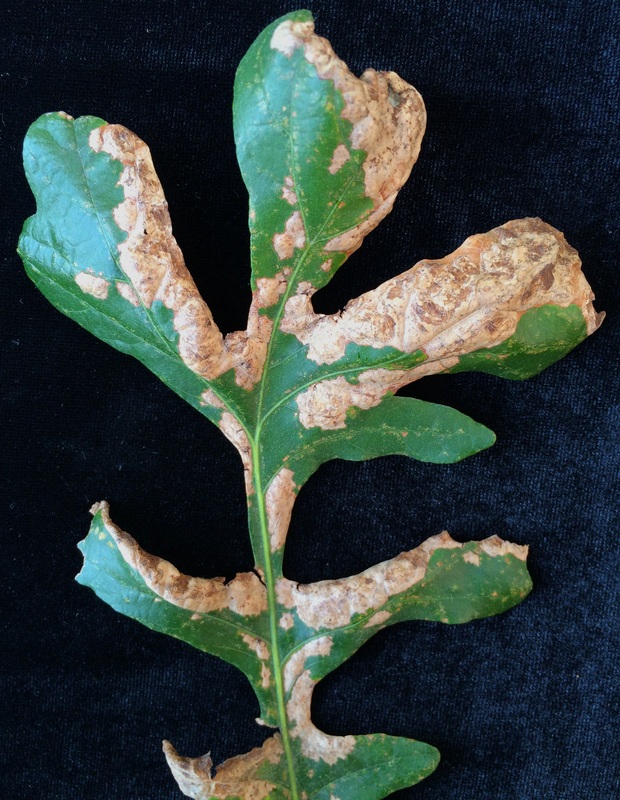 In most cases, oak leaf blister does not cause serious damage to affected trees in the northeastern United States. Additionally, when outbreaks are severe during a particular year, disease pressure may be low in subsequent years. Therefore, fungicide application is usually not recommended. However, for specimen or newly transplanted trees under stress, fungicides can be applied late in winter dormancy, before bud break, to kill overwintering spores before they can infect the newly developing foliage in the spring. Fungicides labeled for use include copper-based products and mancozeb.